Burning Moon's Inside advice: Georgia Charms Cosmetics Giveaway & Review! 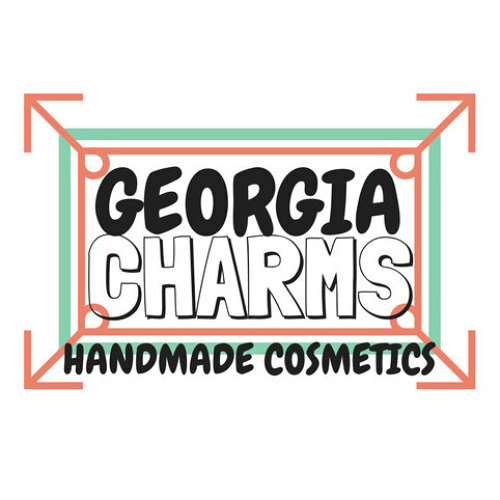 Georgia Charms Cosmetics Giveaway & Review! Life can be stressful so it is nice to have one or more ways to relax and unwind after a stressful or just an eventful day. One of the best ways for me to unwind is with a relaxing hot bath before bed, I get to just sit and not worry about anything I just kind of drift away for a little while and the hot water helps me sleep better at night since I don't go to bed stressed out. What would make the bath even better? Bath bombs, bubbles and other bath goods. 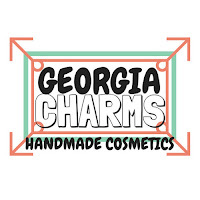 I am excited to share that I received the chance to work with a great Etsy shop called Georgia Charms Cosmetics and I was able to test out a number of products from her line, plus I have not one but two different giveaways to share with my readers. For my review I was sent a Harry Potter charm golden snitch bath bomb, Love spell rainbow Unicorn horn bubble bar, Dr. who Tardis bubble bar,A unicorn bath bomb, A Lord Of The Rings surprise ring bath bomb, Cup 'o Joe face mask, cupcake'd face mask and salty sea face/body scrub. I had mentioned that several of my blog readers had mentioned being fans of GOT and although I am not a fan myself I would be interested in hosting a giveaway with one of the products for my fans who do enjoy the show, so the store owner sent me a GOT bath bomb to giveaway + an extra Dragon charm for me! All of the products have unique and distinct scents from each other, my favorite was the Golden snitch bath bomb it smelled divine and I loved still being able to smell it the next day while I was at work because the scent was so nice. I also really love the smell of the love spell bubble bar and the salty sea scrub which I wish I had more of. Bath Bombs: All three of the bath bombs I received for review smell great, they aren't over powering but are strong enough they make the water and your skin scented which I like because I get to still smell the bath bomb even after getting out of the bath. I did notice the LOTR bath bomb did leave my tub looking a little green but after washing it out it went away. I was nervous to use the Golden Snitch bath bomb at first because it is coated with gold glitter and I wasn't sure how the glitter was going to be. I am happy to say that I did not get out of my tub covered in glitter and it actually turned out to be my favorite of the three bath bombs I received. Each bath bomb has some kind of surprise in it, the LOTR has "the ring" inside of it in one of three colors and happens to be one of the only jewelry surprise bombs/candles I've received where the ring actually fits. The Golden snitch had a Harry potter charm and the Unicorn bath bomb has a unicorn charm in it! Want to see the bath bombs in action? Visit my Instagram page and click on the videos of the bath bombs being dropped into the tub. Bubble Bars: These bubble bars are bubble bath in solid form which have been pressed into various shapes such as a tardis or a Unicorn horn. To use them you have to break them apart in your bath tub, some bubble bars you only need to use a portion but I like using the whole thing. Out of the two the love spell unicorn horn was my favorite because it smelled like sweet tarts and it was also my fiance's favorite smell wise. Face Masks/Scrub: I wasn't a huge fan of the Cupcake'd mask, it didn't really sit as well as I would have liked and the scent was a bit off for me. The Cup 'o joe really does smell like a cup of coffee in the morning and the texture of the mask is helpful for getting rid of dirt and unwanted dead skin. The salty sea face/body scrub was my favorite of the three, my skin was left feeling and looking amazing plus it smells really good. I have two prizes up for grabs, the first is a bath set that comes with a Game of Thrones inspired bath bomb, a Hufflepuff house bath bomb, a Dumbledore bath bar and a sample of the Cup 'O Joe face mask. Giveaway entry question: Name another product from her shop You'd like to try! I would absolutely love the Personalized Harry Potter Charm Bracelet and the Unicorn Horn Bubble Bar! I'd like to try the Hello gorgeous face mask. The Mother of All Bath Bombs looks amazing! I love lavender too so the Lavender Bomb would be great. My daughter would love to try the Mother of Unicorns bath bomb. I'd like their bunny bubble bar. I'd like the lavender bath bomb! I love Lavender so I would love to try the Lavender Bath Bomb!! I'd also love to try the mother of unicorns. Rosy Cheeks Facial Toner - Alcohol-Free Face Toner would be a top pick. The mint chocolate face mask looks really good. I would love to try that. I like the Natural, Whitening Charcoal Toothpaste from GeorgiaCharms. I like the Unicorn Horn Bubble Bar from GeorgiaCharms. I would like to try the Salty Sea Face & Body Scrub. Concert Cash Bash with the AZ Lottery! Shiny Sky rainBOWS Review & Giveaway! MaryquiZe Arts Review & Giveaway!